We were all excited when the proof copy of FREEZE FRAME landed on the doormat four days earlier than anticipated. We love digital media but there is nothing like holding the real thing in your hand and flicking through those pristine pages. It’s almost there – a couple of changes and we’re good to go. We’ve also formatted the e-book for Smashwords, so in a couple of weeks from now FREEZE FRAME will be available for just about every e-reading device known to man e.g. Kindle, Kobo, Nook, Apple, iPad, Android, Sony, EPUB etc etc. as well in traditional tactile format. 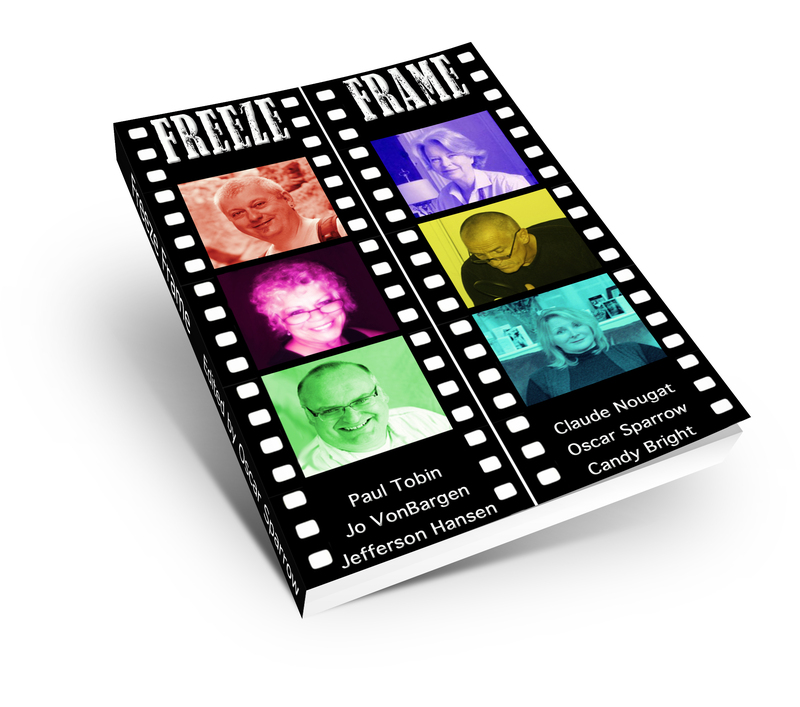 Both the e-book and print book include the free link to the audio recordings of FREEZE FRAME – a one hour poetry fest where each poet performs their poems – a real treat! This entry was posted in Book Launch, Freeze Frame, Publishing and tagged Anthology, book launch, books, Candy Bright, Claude Nougat, contemporary poetry, e book, Freeze Frame, Gallo-Romano Media, Jefferson Hansen, Jo VonBargen, literature, Oscar Sparrow, Paul Tobin by Gallo-Romano Media. Bookmark the permalink.